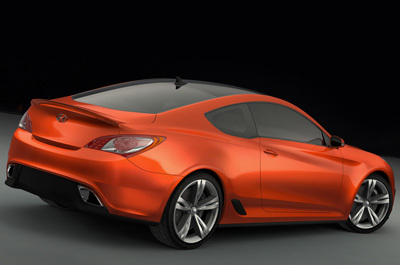 The Hyundai Genesis Coupe was unveiled at the 2007 Los Angeles Motor Show. 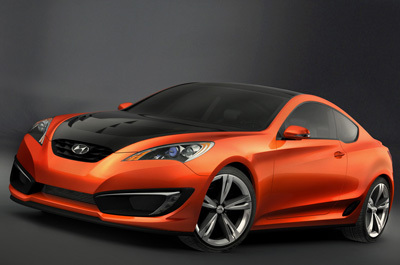 The Genesis Coupe concept is a preview of the RWD, 2+2 sports Hyundai coupe intended to go on sale in 2009. Engine options for the Hyundai Genesis Coupe concept are reputed to include a turbocharged four cylinder unit and a 3.8 litre V6. Horsepower for the top spec model should be in the 300 hp range. 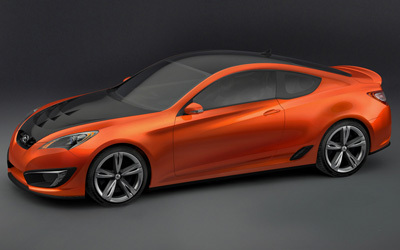 The Hyundai Genesis Coupe's styling is based in part on that of the HCD8 concept from 2004.